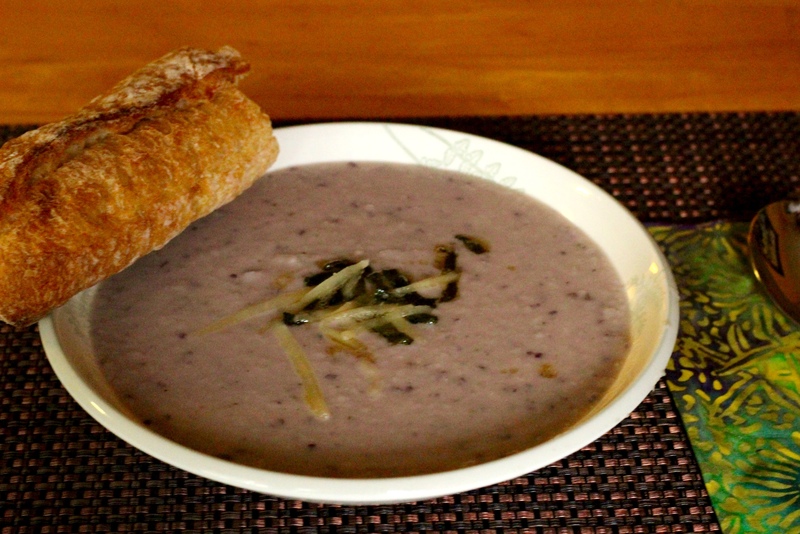 A pureed soup is a great way to use up extra vegetables. I still had the Peruvian potatoes to use up from last week. 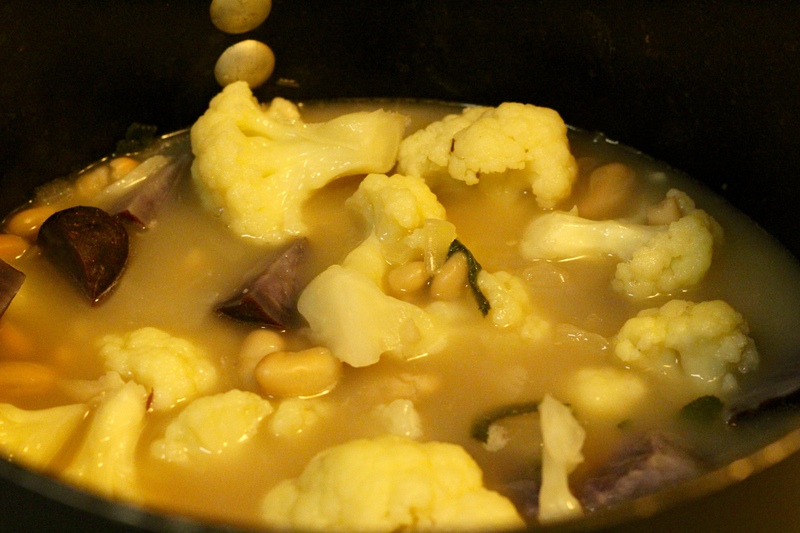 Adding the cauliflower and beans makes this a very tasty healthy soup. The cheddar cheese gives it a wonderful richness without being to heavy. I topped it off with crisped up sage in butter. This is a meal you can have ready within 20 minutes. 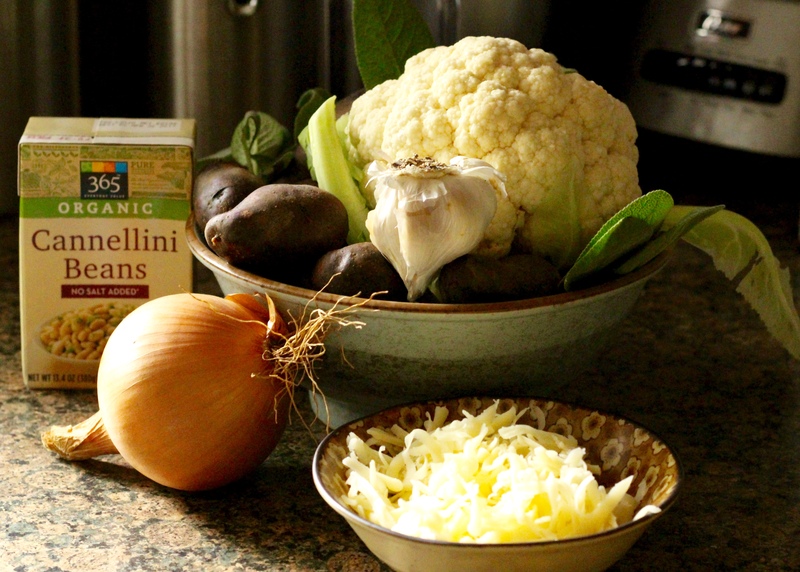 Your kids will love this soup and be none the wiser they’re having veggies. Serve with a nice piece of bread and top with a little extra cheese. 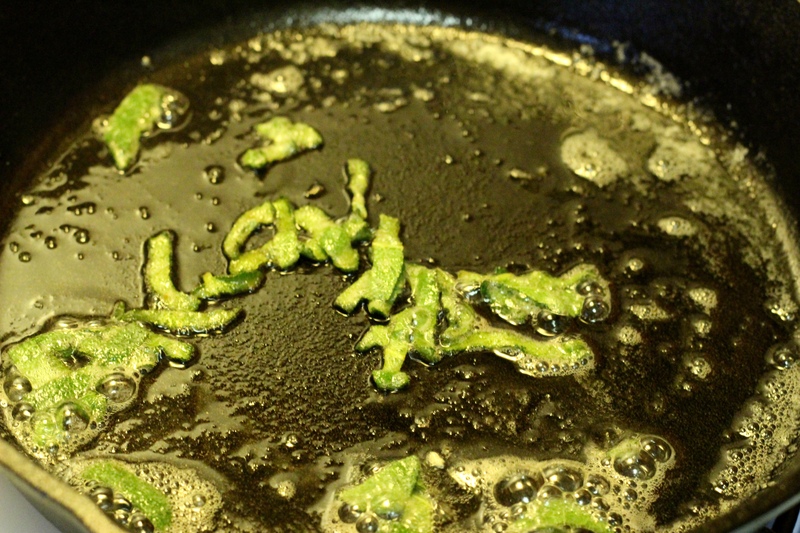 Melt 1 tablespoon butter in medium saucepan over medium-low heat. Add oil, onion, garlic, and 1/2 the sage; cook, stirring frequently, until onion is softened, but not browned, about 7 minutes. Increase heat to medium-high; add water, stock and potatoes and bring to a boil. 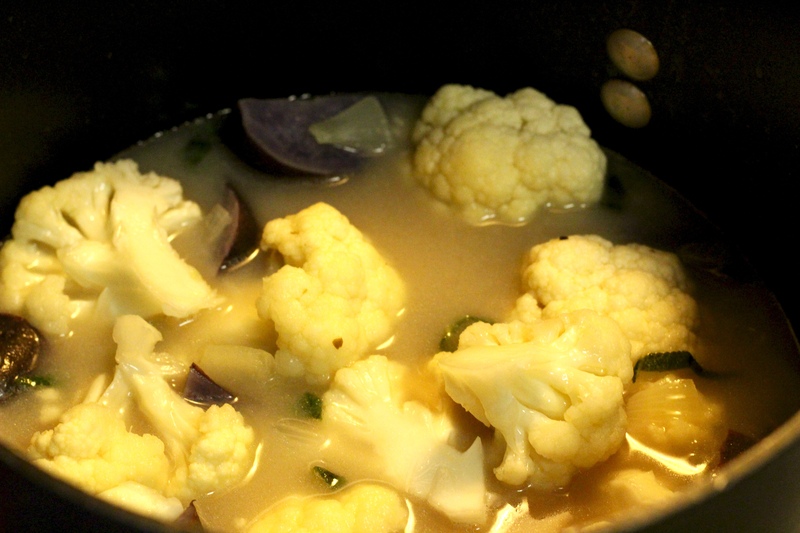 Add cauliflower, cover and reduce heat to medium low, return to simmer, and continue to cook until cauliflower and potatoes are tender, 10 to 15 minutes longer. Stir in beans, salt and pepper and cook until the beans are heated through, about 1 minute. 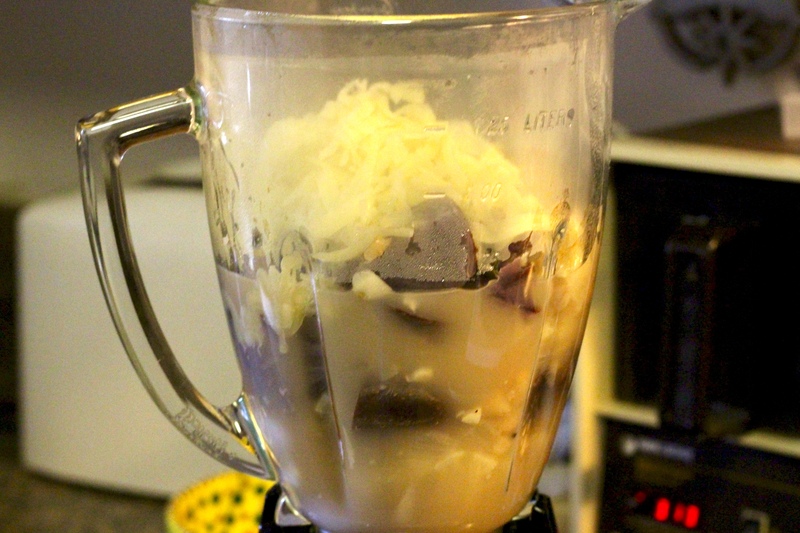 Transfer half the mixture to a blender with half the cheese and puree. (Use caution when pureeing hot liquids.) Transfer to a bowl. Repeat with the remaining cauliflower mixture and cheese. In small frying pan melt 2 tablespoons butter. Fry remaining sage. 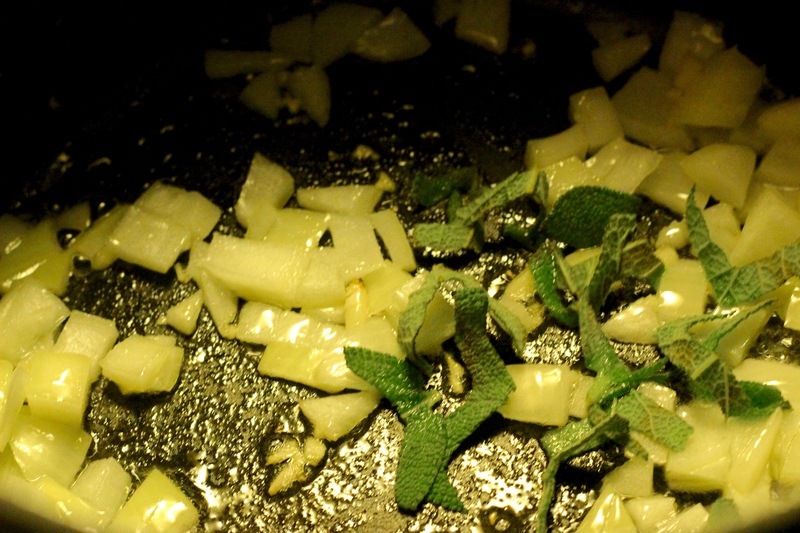 Once sage is crisped up, serve over soup, about 2 minutes.